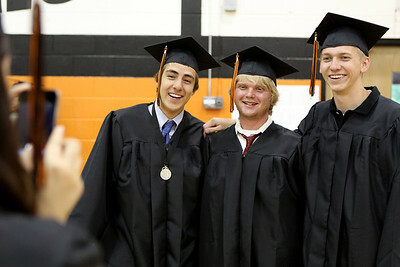 Mike Greene - mgreene@shawmedia.com Brandon Solarte, Nick Sistko and Tyler Schaefer pose for a photo prior to the start of commencement ceremonies for Crystal Lake Central Saturday, May 26, 2012 in Crystal Lake. 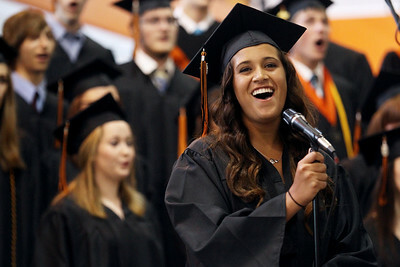 Mike Greene - mgreene@shawmedia.com Jordan Puhala sings during commencement ceremonies for Crystal Lake Central Saturday, May 26, 2012 in Crystal Lake. 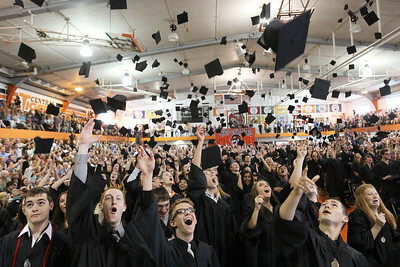 Mike Greene - mgreene@shawmedia.com Crystal Lake Central graduates throw their caps in the air following commencement ceremonies Saturday, May 26, 2012 in Crystal Lake. Mike Greene - mgreene@shawmedia.com Becca Ross (left) and Caroline Sdregas (right) help fix Jordan Puhala's cap prior to the start of commencement ceremonies for Crystal Lake Central Saturday, May 26, 2012 in Crystal Lake. 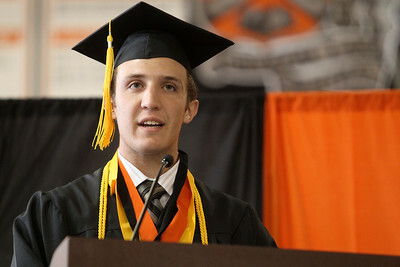 Mike Greene - mgreene@shawmedia.com Crystal Lake Central Valedictorian Stuart Streit speaks during commencement ceremonies for Crystal Lake Central Saturday, May 26, 2012 in Crystal Lake. 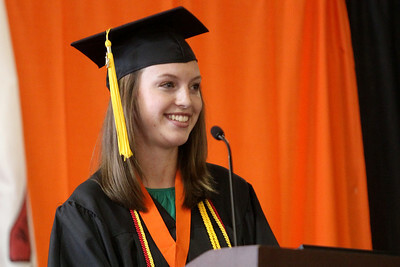 Mike Greene - mgreene@shawmedia.com Kayla Heyn smiles while giving a welcome address to classmates during commencement ceremonies for Crystal Lake Central Saturday, May 26, 2012 in Crystal Lake. Mike Greene - mgreene@shawmedia.com Crystal Lake Central Salutatorian Michelle Wilson speaks during commencement ceremonies for Crystal Lake Central Saturday, May 26, 2012 in Crystal Lake. 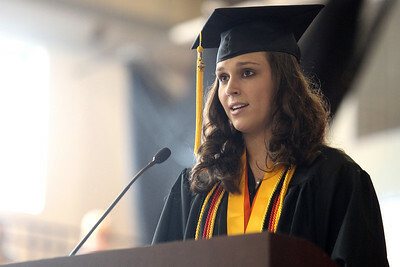 Mike Greene - mgreene@shawmedia.com Courtney Basich listens to the salutatorian's address during commencement ceremonies for Crystal Lake Central Saturday, May 26, 2012 in Crystal Lake. Mike Greene - mgreene@shawmedia.com Crystal Lake Central Master of Ceremonies Natalie Maczuga listens to remarks from District 155 Board Member Dave Secrest during commencement ceremonies for Crystal Lake Central Saturday, May 26, 2012 in Crystal Lake. Mike Greene - mgreene@shawmedia.com Rachel Bremicker poses for a photo after receiving her diploma during commencement ceremonies for Crystal Lake Central Saturday, May 26, 2012 in Crystal Lake. 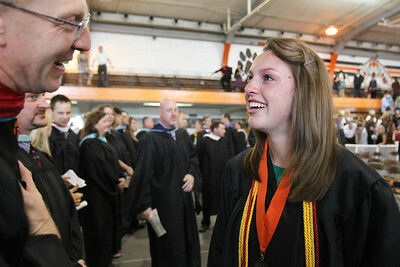 Mike Greene - mgreene@shawmedia.com Kayla Heyn speaks with teacher Mike Smalley following commencement ceremonies for Crystal Lake Central Saturday, May 26, 2012 in Crystal Lake. 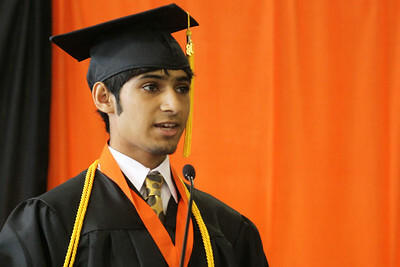 Mike Greene - mgreene@shawmedia.com Student Council Co-President Wasif Bala gives a farewell address during commencement ceremonies for Crystal Lake Central Saturday, May 26, 2012 in Crystal Lake. Crystal Lake Central graduates throw their caps in the air following commencement ceremonies Saturday, May 26, 2012 in Crystal Lake.